In 1972, Bill Henderson founded Pushcart Press from a studio apartment in Yonkers, New York. Four decades later, the editors of Pushcart continue to solicit yearly input from small press editors on the most exciting of the work they publish. Pushcart’s editors use these nominations in the making of their annual compendium, The Pushcart Prize: Best of the Small Presses. This year, Poet Lore, the semi-annual poetry journal published by The Writer’s Center, selected works from our 2013 Spring/Summer and Fall/Winter editions. The poems selected are meant to showcase the caliber of the submissions we receive year-round. Peruse the list of poems Poet Lore chose and learn more about their authors. But first, enjoy the following excerpt from Alex McRae’s nominated poem. ROBIN BECKER, Liberal Arts Research Professor of English and Women’s Studies at Penn State, has published four collections of poems in the Pitt Poetry Series, most recently Domain of Perfect Affection. She serves as contributing and poetry editor for the Women’s Review of Books, where her column, “Field Notes,” appears regularly. CHANA BLOCH's most recent poetry collections are Mrs. Dumpty and Blood Honey. She is co-translator of the Song of Songs and books by Israeli poets Yehuda Amichai and Dahlia Ravikovitch. Bloch has new poems in Beloit Poetry Journal, Field, Prairie Schooner, Southern Poetry Review, and the Women's Review of Books. 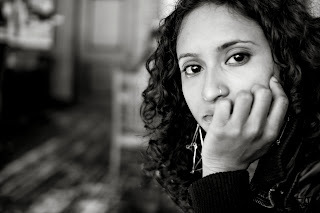 Tarfia Faizullah: "What I Want is Simple"
TARFIA FAIZULLAH is the author of Seam (SIU Press, 2014), winner of the Crab Orchard Series in Poetry First Book Award. Her poems appear in Ploughshares, Ninth Letter, New England Review, Washington Square, The Missouri Review, and elsewhere. She is the recipient of a Fulbright Fellowship and other honors. JOSEPH BATHANTI, current poet laureate of North Carolina, is the author of seven books of poetry and three books of fiction. His new book of poems, Concertina, will be published this fall by Mercer University Press. He teaches at Appalachian State University in Boone, North Carolina. ALEX McRAE is from London and now lives in Washington, DC. She won an Eric Gregory Award for the best British poets under 30 in 2009, awarded by the UK’s Society of Authors. Her poems have been published in Poetry Review, The Manhattan Review, Magma Poetry, and Gargoyle. ROB SULEWSKI is a playwright whose recent poetry has appeared in the Bear River Review and Blue Unicorn. He has work forthcoming in Commonweal and Iconoclast, and he teaches writing at the University of Michigan. To learn more about the Pushcart Prize, jump to http://www.pushcartprize.com/. A big thanks to our publisher, The Writer's Center (www.writer.org). As many of you know, our 2:00 p.m. Sunday Open Door readings usually are an opportunity to meet featured authors, who are often reading from their books or from a journal or anthology in which their work has appeared. We also have a long tradition of poetry and prose open mic readings, with a range of writers, including some who are reading in public for the first time. This Sunday, November 24, we're celebrating just a fraction of the very good writing that is being generated in workshops. The emails came flying in after we invited workshop leaders to suggest writers whose work should be featured. As expected, there were far too many good authors to be able to include them all. "By my count at least 26 essays generated from our class have appeared in print, such as The Washington Post's "Style" and "Style Plus" sections, The Washington Post Magazine, The Washingtonian Magazine, the Christian Science Monitor, Bethesda Magazine, as well as literary magazines such as The Little Patuxent Review, The Sonora Review, The Flint Hills Review, numerous online magazines as well as many themed anthologies. "Writing From Life" also had the privilege of reading drafts from Glen Finland's wonderful memoir Next Stop, published by Putnam." We'll have a reception after the reading, which is free and open to the public. We've asked the featured writers for brief profiles, posted below, and we've added a few links to their text. Before flowering as poet on Whidbey Island, Washington, in the early years of the twenty-first century, Ann Gerike was a graduate student in Glasgow and London for four years (the 1950s); a faculty wife, mother, and university press book editor in Lincoln, Nebraska (the 1960s and 1970s); and a midlife graduate student, clinical psychologist (PhD 1983), gerontologist, and anti-ageism activist (Houston and Minneapolis, 1980s and 1990s). She is author of a collection of poems, About Face: World War I Facial Injury and Reconstruction. Her previous book, Old is Not a Four-Letter Word, was published by Papier-Mache Press in 1997. In 2007 and 2008 she won the Stafford Prize in the Washington Poets Association contest, and her poems and stories have appeared in the Crab Creek Review, Cascade, Soundings Review, Alehouse, and four volumes published by the Whidbey Island Writers Association (Gull Rock Press). Ann recently participated in a poetry workshop with Nan Fry. Lynne McKelvey divides her fiction writing career into two phases. As a child growing up in California, she began writing stories in grade school. When she was a freshman in high school, she won the Seventeen magazine short story contest. At that point, her fiction writing came to a screeching halt. For the next three decades, she read other people's fiction, taught expository writing, and produced papers in various academic settings. Along the way, she married, had children, and started a singles club in Santa Monica, California. With these distractions under control or out of the way, she moved to Washington, where she enrolled in Joyce Kornblatt's fiction class at The Writer's Center and gradually found her way back to writing fiction. Since then she has participated in a number of workshops, including Jenny McKean Moore workshops at GW University taught by Gloria Naylor and Mary Morrissey, Dos Brujas workshops led by Cristina Garcia in New Mexico and Miami, and, most recently, in a year-long master class in the novel taught by Amin Ahmad at TWC. A Real Daughter is her second novella. Timothy Redmond is an attorney working at NIH (in a non-attorney position). A veteran of the Afghanistan War, Tim has been published in 0-Dark-Thirty, a literary journal for veterans that is published by the Veterans Writing Project. He has been taking workshops both at The Writer's Center and at Johns Hopkins University since the Fall of 2010, when he enrolled in an NEA-funded free workshop for veterans. He most recently attended a fiction workshop with Jim Mathews at The Writer’s Center. Tim is working on his first novel about his time serving in Afghanistan with the Special Forces, and hopes to complete it this year. Emily Rich is a former Federal employee and community college instructor who is taking some time off to write. She has taken numerous workshops the Writers Center both at the Bethesda location and online. Last summer she was accepted to the Tin House Writer’s Workshop in Portland, OR. Her work has been published in a number of journals including Little Patuxent Review, Greenbrier Review, River Poet’s Journal and Welter. She has just begun volunteering for Little Patuxent Review as a non-fiction reader. Emily lives in Arlington Virginia with her husband and a too-rapidly emptying nest. Emily recently attended Ellen Herbert's Writing from Life workshop. Susan Silk is the Director of the Division of Policy and Education in the Office of Laboratory Animal Welfare at the National Institutes of Health where she writes policy for the national animal welfare program. During her 30 year career in science and scientific communication, she has served in many positions at NIH including as the senior scientific speechwriter at the National Cancer Institute and as the founding director of the Office of Mice Advice. Susan has participated in writing workshops including the 2013 Santa Fe Science Writers Workshop, Lynda Barry's Writing the Unthinkable Workshop and Ira Wood's Humor Writing Workshop. Closer to home, she has participated in The Writer's Center Workshops including David Taylor's Science Writing, Pamela Toutant's Creative Nonfiction and Liz Reese's Getting Started Creative Writing. Susan has a BFA in Design from Maryland Institute College of Art, a BS in biological illustration from University of Maryland and an MS from University of Maryland in Immunogenetics. Cathy Wu has slowly returned to writing after a long hiatus by participating in four Writers’ Center workshops over the past few years, including “My Life, One Story at a Time” with Pat McNees. She has also been using National Novel Writing Month, or Nanowrimo, to put some words on paper, and wishes the best of luck to other Nanoers, especially other non-fiction "rebels." Cathy writes about her family and cross-cultural experiences. In 2004, I was so moved by my last class of students that I had to write this. Thank you for this work that gives me such deep amazement and pleasure. Sometimes teaching leaves me breathless, knocks me back. What does the knocking is my students’ fearlessness, their willingness to go for broke, to plunge into murky waters - into danger. When I was a girl, there was a particular type of documentary that set me to sitting up rigid as a mast, biting my nails. These were films by Jacques Cousteau - the ones where divers swam deep into the sea to locate disappeared ships, to uncover the mystery that caused the swallowings-up and to learn something of the lost lives of those who’d sunk with the vessels assigned to protect them, into the drink. As the sleek, tawny-skinned divers with French accents ventured into the labyrinthine channels of the hulks at the bottom of the sea, the perils multiplied. Their oxygen was about to give out, they couldn’t open the trap into the next chamber where they were sure the captain’s log was cached (and who knew what lurked within) ravenous sharks circled…I sat riveted, breathing shallowly, trying not to use up my air, as I shone my light with them into the ship’s hold – now claimed and denied by a formidable sea - which might, at any moment, yield a fleeing princess’s lode of coins, but more probably flash a terrifying skull. How the heart in my skinny, 14-year-old body thrilled, back on Thornapple Street in Chevy Chase, when the divers emerged from the sea dangling secrets from their gloves. I sit just as mast-like and gripped, often, during the classes I teach here at The Writer’s Center, in Bethesda - only a mile from the little den where I used to watch that tiny black and white television. But recently, I taught a class which left me particularly breathless. At ten o’clock, I would drive home in a trance, gob-smacked by the courage of what looked from the outside to be ordinary, everyday human beings. For, from this innocent looking collection of adult night students - these people who struck out into the dark every Tuesday - emerged stories, one by one, of: a child’s suicide; the crash of a small plane that had left the writer parentless at age eight; PTSD contracted during postings war-ravaged to African countries; a threatening genetic disease; cancer; an elementary school student so abused she could barely speak…Every person in the class wrote, eloquently, with hard nouns and soft similes—and with more bravery than any French diver might boast of. There is physical courage and then there is another sort of heroism - that of those who brave searing emotions to show the rest of us certain truths. Heedless of the imperfection that would be revealed, of the re-lived sorrow that would course through them, these students, sharing their humanity, in each other’s company, holding hands—so kind, so trusting, so dear they were to one another - opened their watery lodes and passed around their bones and riches. I have a name for what these students did - what the brave students at TWC do each and every day; what they give to the world, through language, with utter fearlessness; and what leaves me gasping with awe. I call it diving into the wreck. As their teacher, as their lucky, lucky witness, I salute them. SARA MANSFIELD TABER received a Bergeron Fellowship to teach writing in London, and was a William B. Sloane Fellow in Nonfiction at the Bread Loaf Writer’s Conference. She is the author of Dusk on the Campo: A Journey in Patagonia, Of Many Lands: Journal of a Traveling Childhood, and Bread of Three Rivers: The Story of a French Loaf. Her short pieces have appeared in anthologies, such as Unrooted Childhoods: Memoirs of Growing Up Global and in literary magazines and on public radio. Her memoir, Born Under an Assumed Name: The Memoir of a Cold War Spy’s Daughter, is in press.